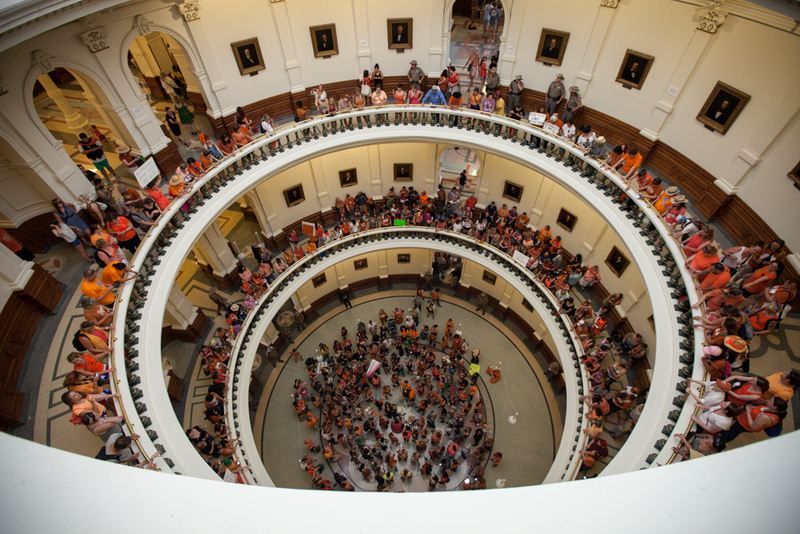 Thousands rallied at the state Capitol on Monday — most of them in opposition to legislation that would further restrict access to abortions in Texas. Take a photographic tour of the day's protests. 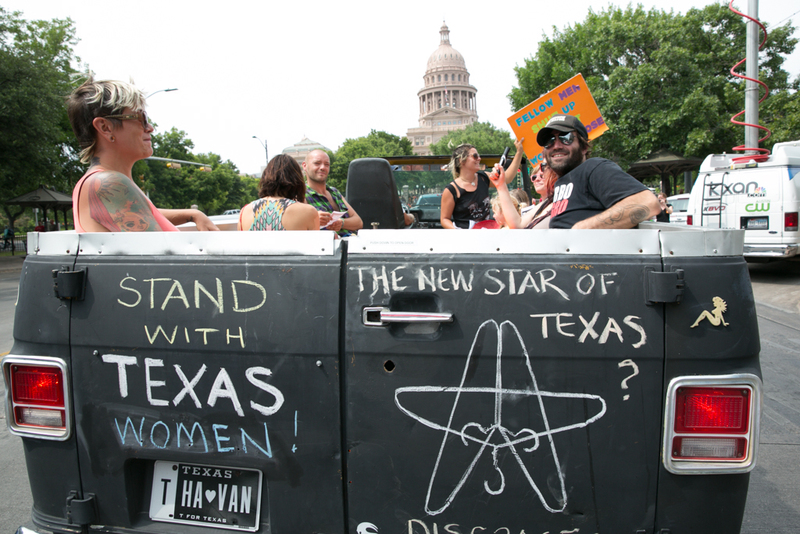 Thousands rallied at the state Capitol on Monday — most of them in opposition to legislation that would further restrict access to abortions in Texas. 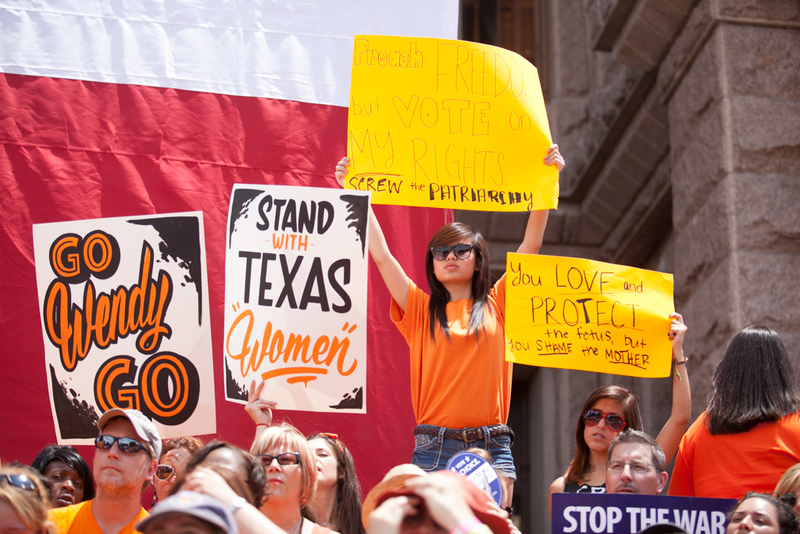 The day's protests, documented below, followed last week's successful Democratic filibuster of an omnibus abortion bill — and Gov. 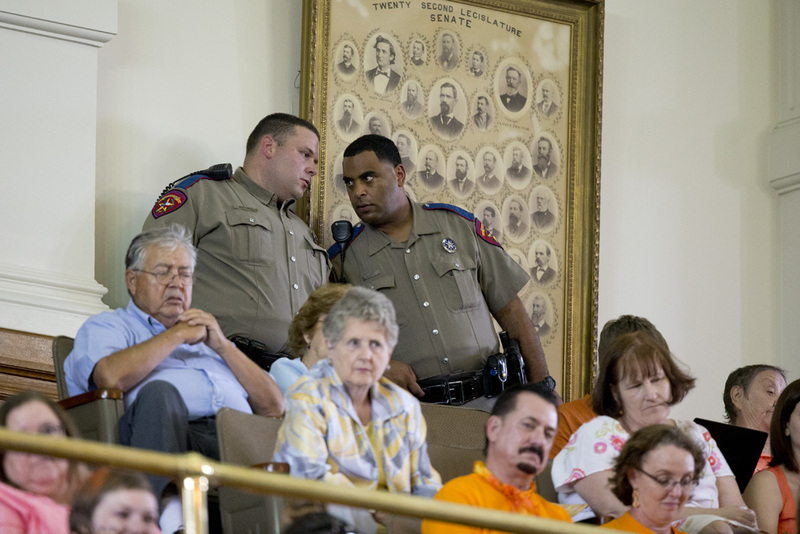 Rick Perry's decision to call lawmakers back for a second special session to pass the bill. 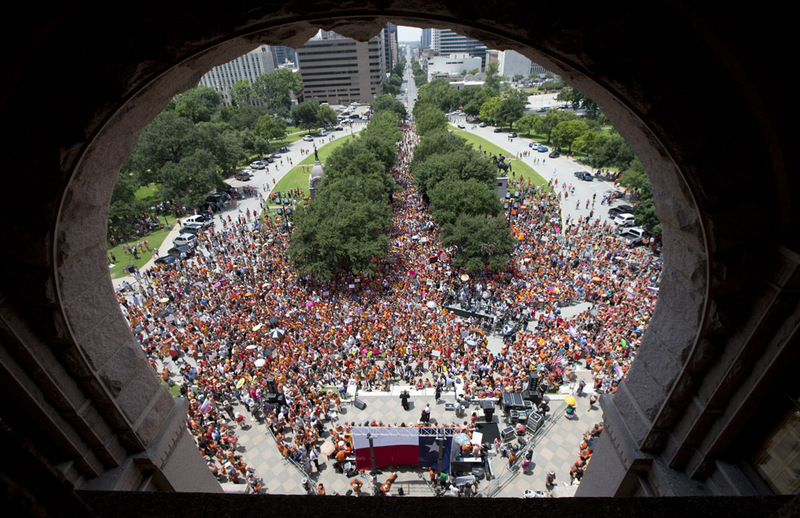 View from the Capitol as thousands gathered in protest on the first day of the second special session. 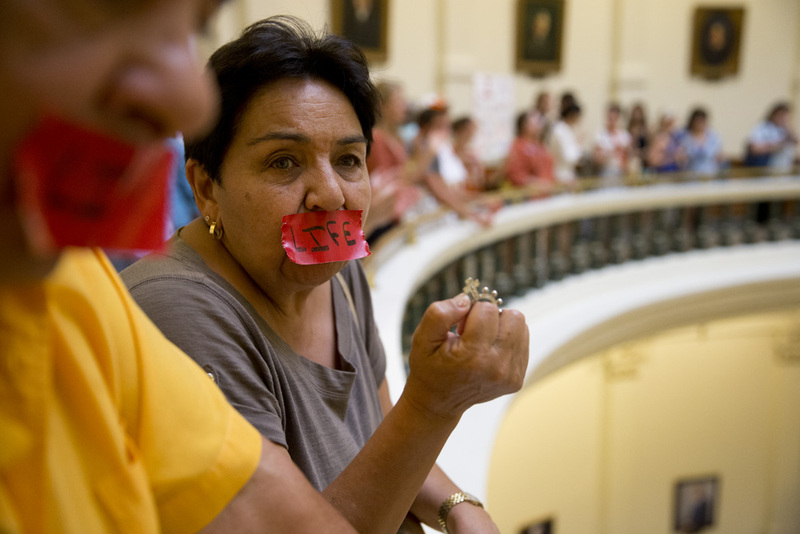 Many gathered around noon on the south steps for a scheduled protest of controversial legislation that would restrict abortions. 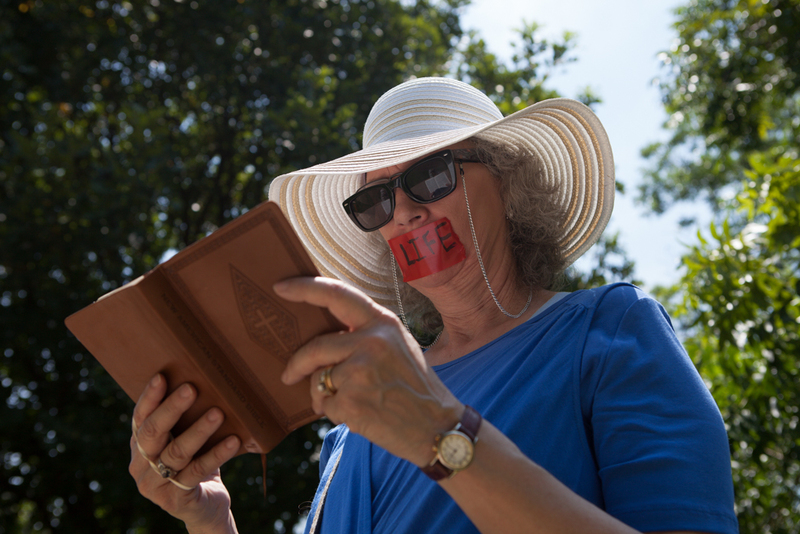 Opponents of abortion surrounded the Capitol lawn in silent protest. 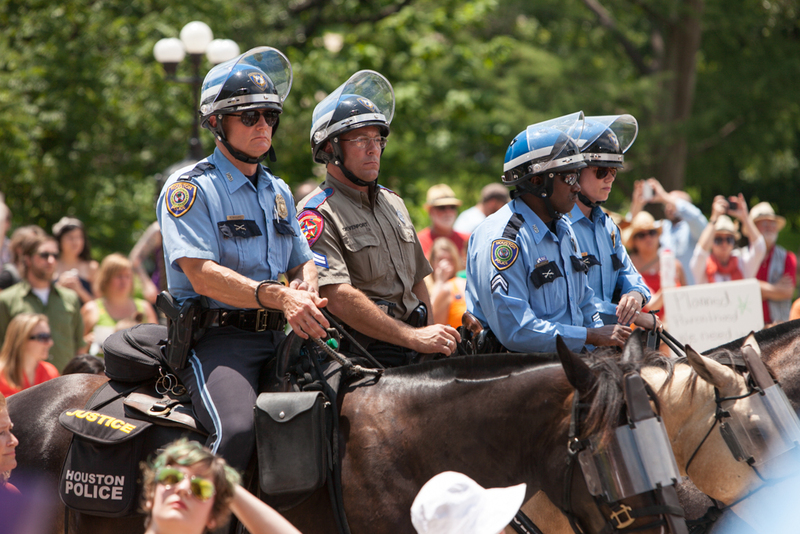 Officers on horseback ensure the safety of the protesters. Abortion rights activists on the way to Capitol. 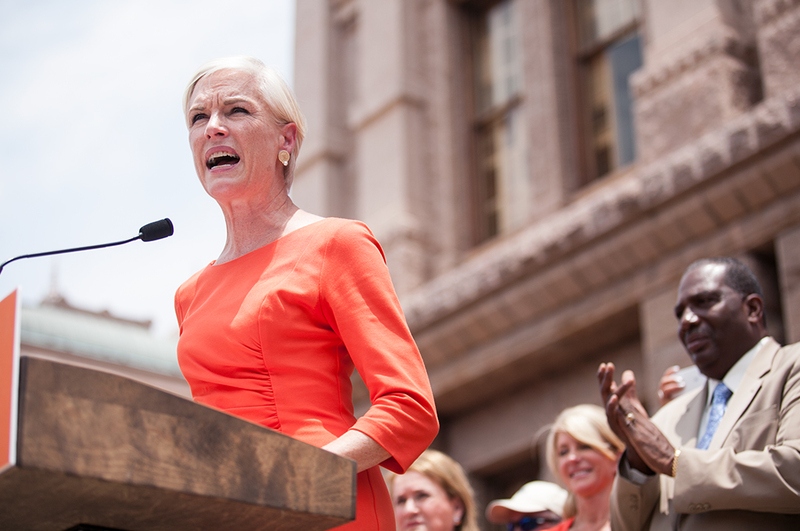 Planned Parenthood Federation of America President Cecile Richards speaks to protesters on the south steps of the Capitol. 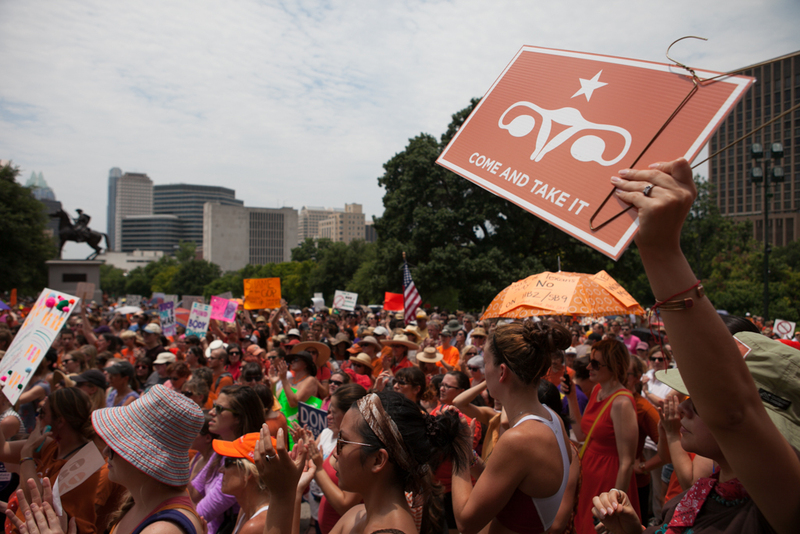 Abortion rights activists listen to speakers address the crowd with raised signs. 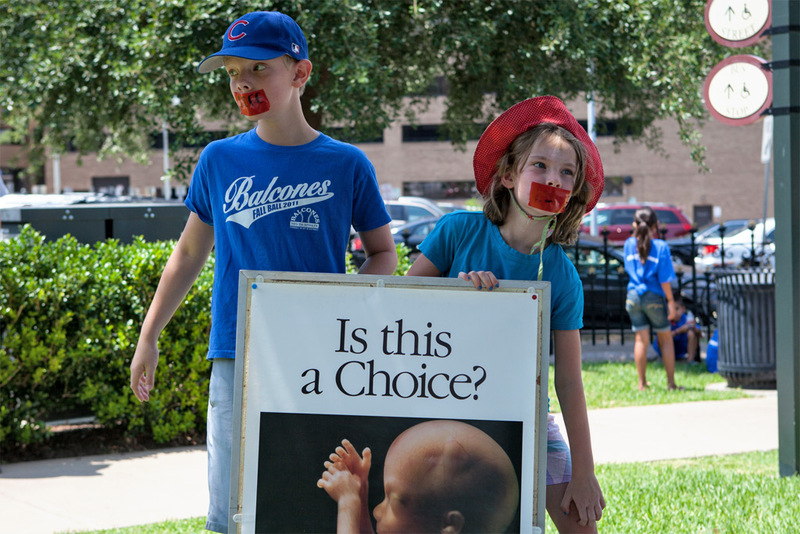 Young abortion opponents in quiet protest on the south lawn. 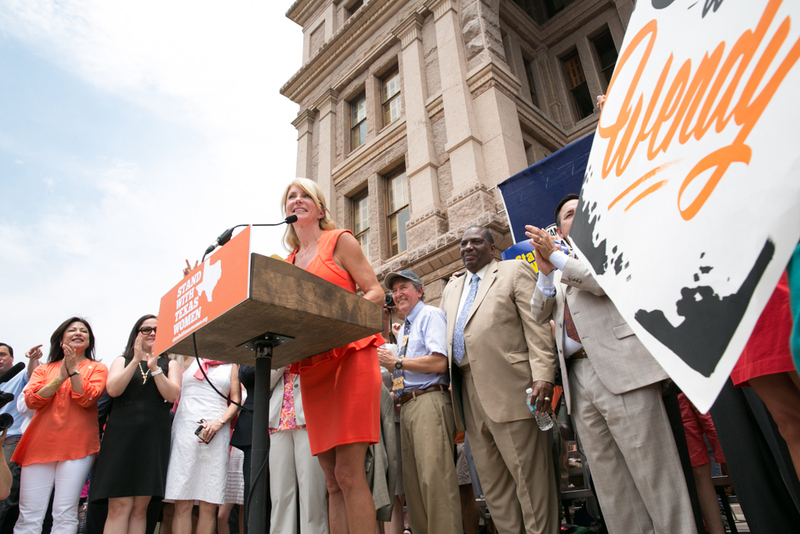 Sen. Wendy Davis, D-Fort Worth, speaks to her supporters. 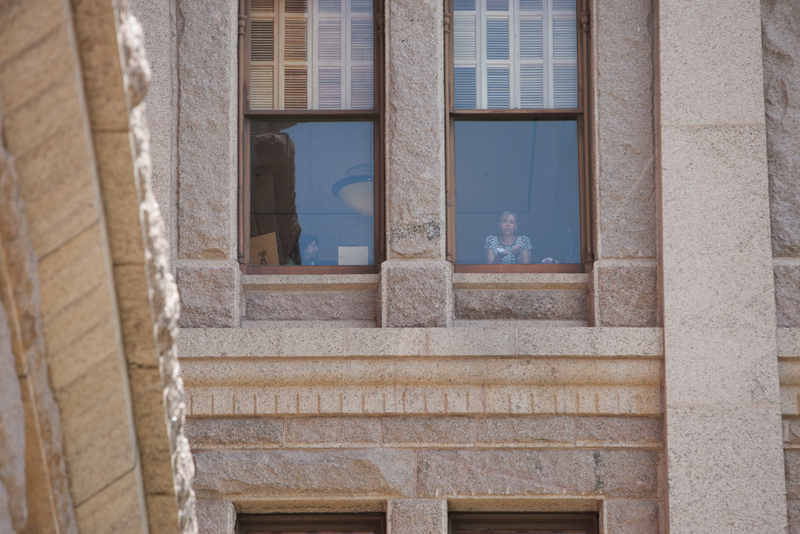 State Sen. Joan Huffman, R-Southside Place, watches the protests from inside the Capitol. Protesters swarm every floor the Capitol rotunda. Abortion opponents in the Capitol rotunda. 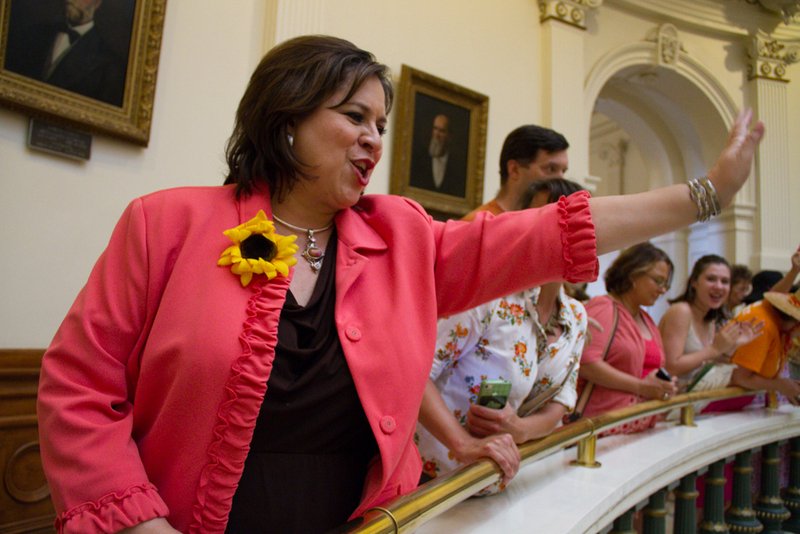 State Sen. Leticia Van de Putte, D-San Antonio, waves to supporters in the Capitol rotunda. 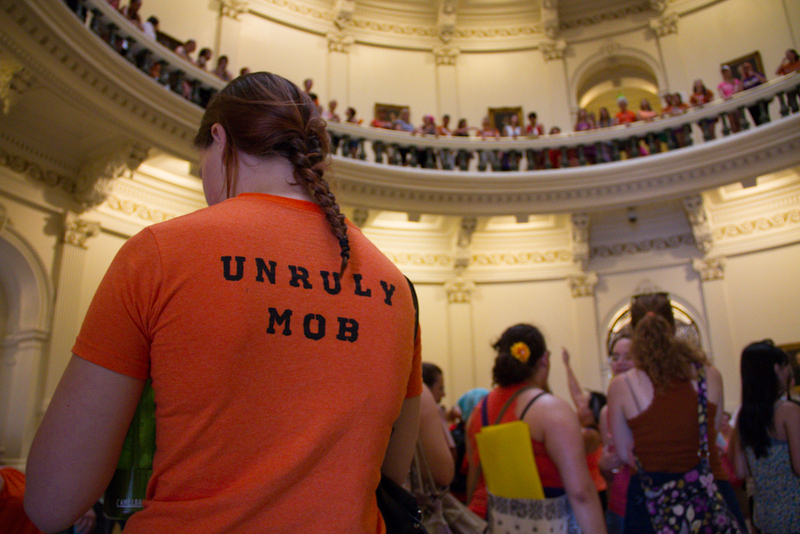 Abortion rights activists gather in the Capitol rotunda. A DPS trooper watches protesters with zip-tie handcuffs in his belt. 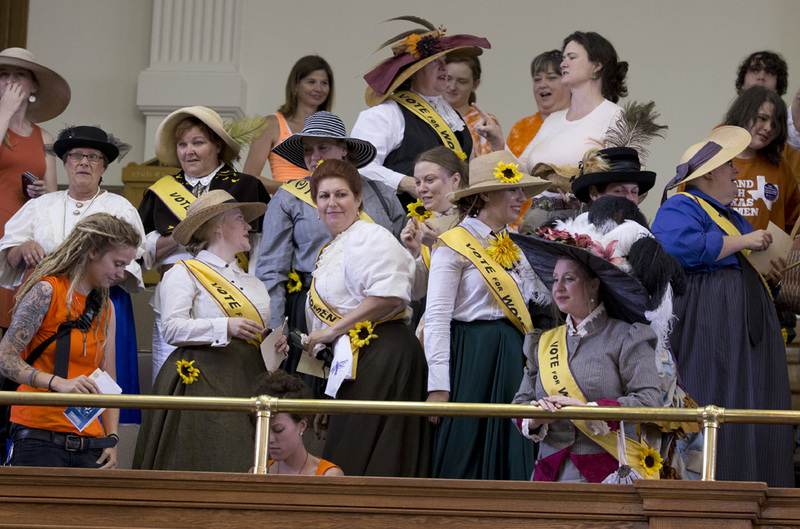 Women's rights activists in the Senate gallery as the second special session begins. 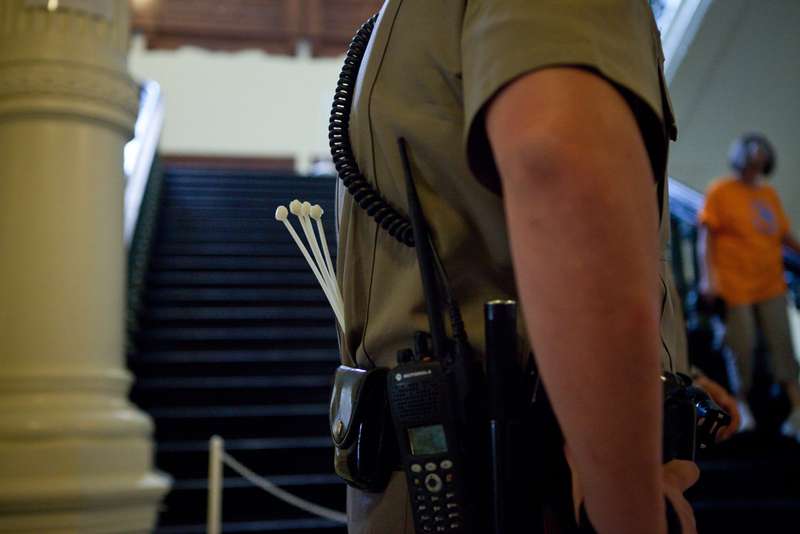 DPS troopers in the Senate gallery. Lt. Gov. 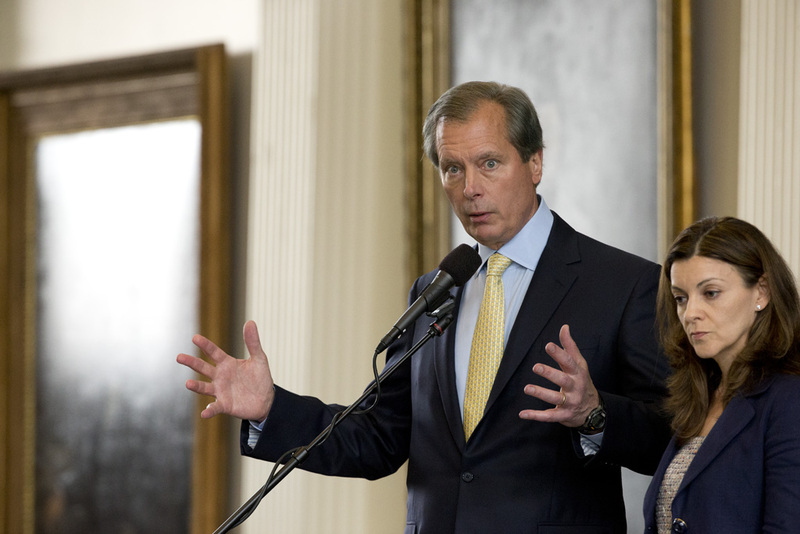 David Dewhurst addresses the Senate from the dais. 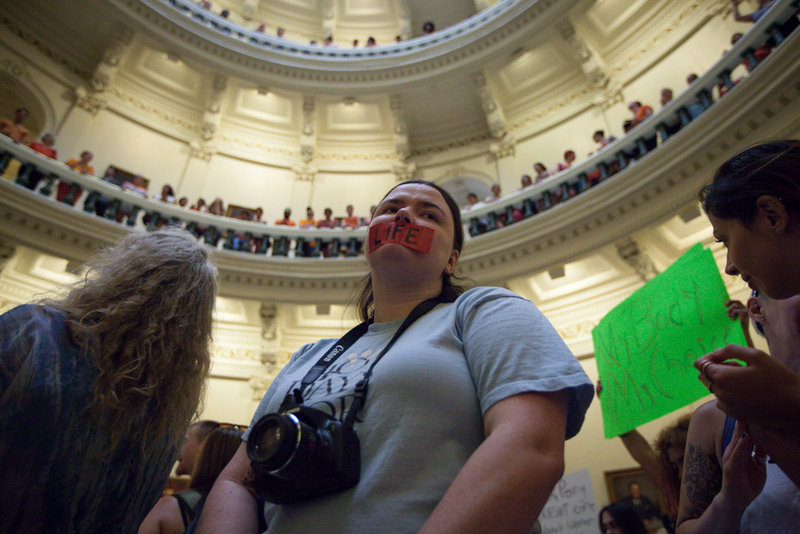 An abortion opponent stands in the middle of the Capitol rotunda. 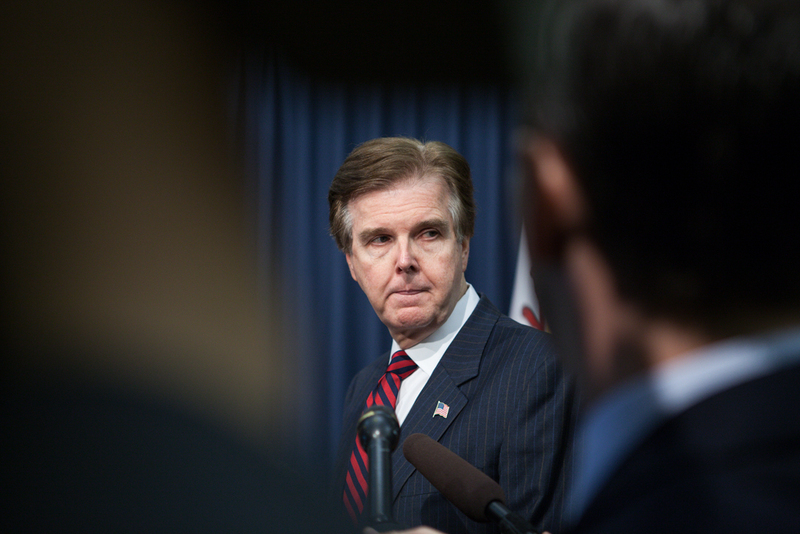 State Sen. Dan Patrick, R-Houston, fields questions about abortion-related legislation in the Senate press room. 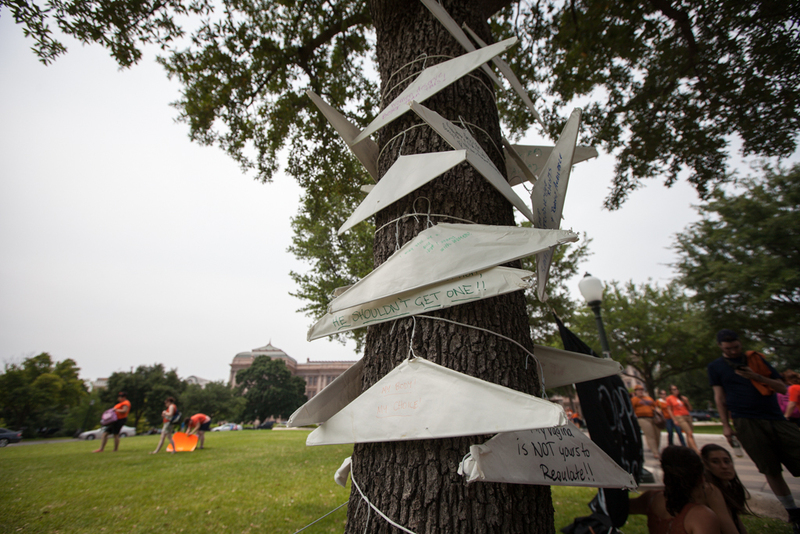 Coat hangers, a symbol for abortion rights activists, hang on a tree outside the capitol. 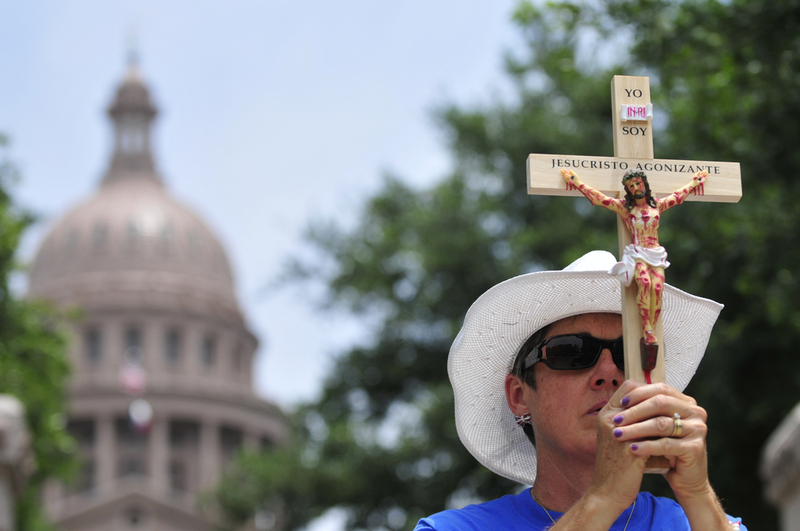 An abortion opponent holds a crucifix on the Capitol lawn. 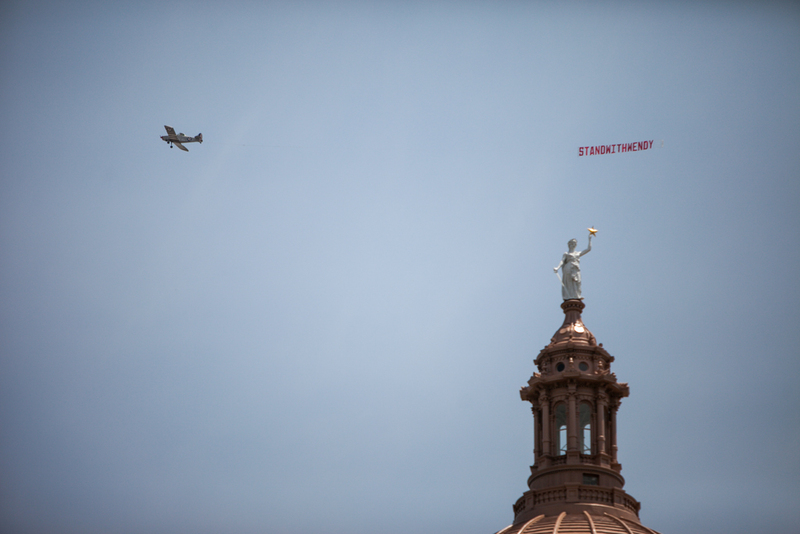 A banner in support of Davis flies over the capitol dome.